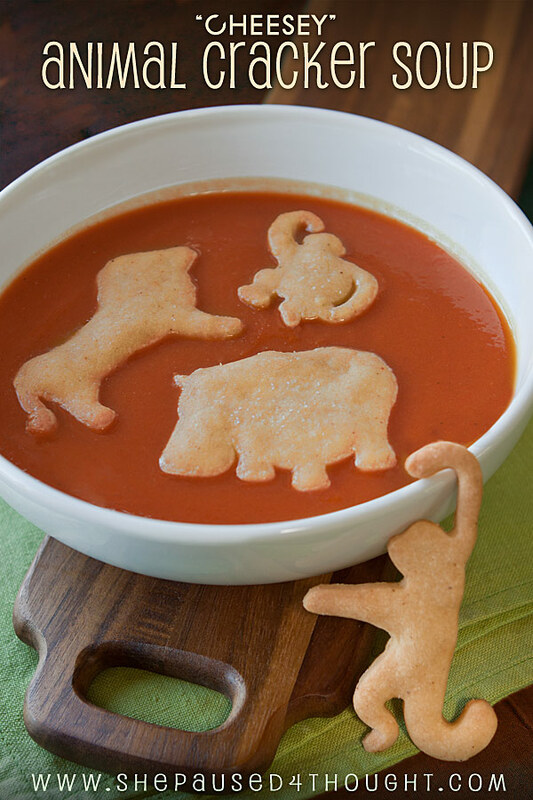 Animal Cracker Soup is a nostalgic twist on a classic song and a much-loved cracker. 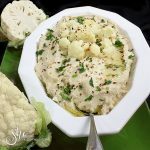 In honor of National Animal Cracker Day (April 18th) I decided to use creative license to craft a recipe from one of my favorite childhood classic songs, “Animal Crackers in My Soup” sung by Shirley Temple in the 1935 film Curly Top. If this movie was before our time, most of us remember the Barnum animal crackers from our childhood, which are alive and well, with 40 million circus train boxes sold each year. Long gone are the days that a box sold for just 5 cents back in 1902. Today a box costs around $1.25. So, my first mission for this recipe was finding small animal cookie cutters. This turned out to be more difficult than I thought. I settled for larger-than-I-wanted cutters and decided to use a bigger bowl to accommodate my soup zoo. 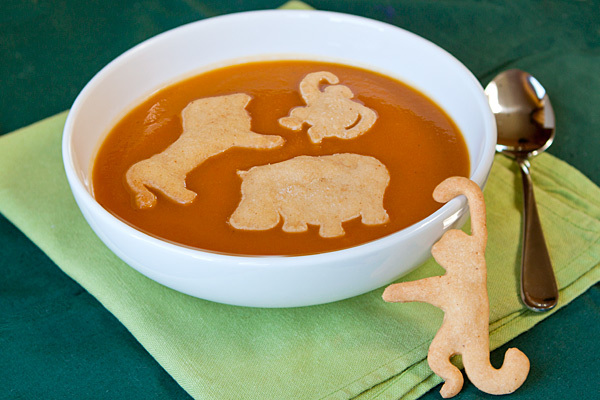 I chose an easy tomato soup recipe to host my animal crackers, which are flavored with cheddar. 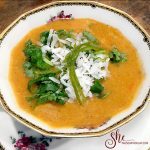 This flavor combination is another paean to childhood – it is inspired by my favorite childhood comfort food of tomato soup with grilled cheese sandwiches. Hope you enjoy playing with your food as much as I do! Add all the ingredients, except kosher salt into a food processor. Shape the dough into a disk and wrap with plastic wrap. Remove dough from the refrigerator and let it soften for 5 minutes. Roll the dough out on a smooth surface until it is about ⅛ inch thick. Use your favorite animal cookie cutters to cut out crackers. Sprinkle the cutout crackers with kosher salt if desired. Place the animal crackers on a cookie sheet lined with non-stick foil or parchment paper. Bake for 10-12 minutes or until bottoms are barely golden. Let crackers sit in the pan for a minute before removing to a cooling rack. Crackers will crisp up more as they cool so be sure not to over bake. Drain the canned cannellini beans in a colander, and rinse them well. Set aside. Warm the olive oil in a large soup pot over medium-low heat, and add the onion and cook until soft. Add the garlic and rosemary. Cook for a minute or two, and then add the tomatoes, honey, salt, a few grinds of pepper, cannellini beans and the stock. Bring to a boil over high heat; then reduce the heat to low and simmer, with the pot lid slightly ajar, for 20 minutes. Remove the soup from the heat and use an immersion blender to purée it right in the pot. Garnish with Cheddar Animal Crackers. Makes 10 cups, or about 6 servings. In case you haven’t seen this charming song, here is Shirley Temple singing Animal Crackers in My Soup. I hope you enjoyed a little nostalgic fun… “swallowing animals one by one“. And remember… this recipe is a good excuse to play with your food. …and then she paused 4 thought. Oh yeah, that sweet tomato soup rocks! So glad you played with it! Thanks Dorothy for the great recipe to start with. 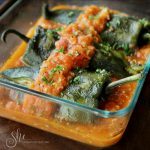 Your recipes are so solid, it gives people like me a great springboard to experiment with. 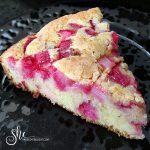 WOW… I’m so enthralled watching Shirley Temple that I forgot about the recipe… although it looks really good!!! I was enthralled with the video as well. What fun. 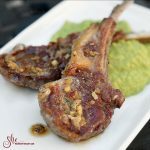 You should try the recipe as it is easy and fun. Of course, these are completely adorable. I would have expected nothing less! Love the way you placed the cute monkey cracker 🙂 Amazing photos, as always. Thanks Nusrat, it was a fun assignment for National Animal Cracker Day. You are so right…small cookie cutters are almost impossible to find. Either they’re teeny or too big. Love your animal crackers theme. My earliest memory of grocery shopping with my mother included buying a box of those circus animal crackers to share with 3 younger siblings. I wish we could relive those preschool discussions about the various animals…who should have which, and how we planned to eat them! Thanks for the memories! I love your childhood memories Mimi! How to eat an animal cracker is always a great discussion. Thanks for stopping by. How fun. I want to make these. Thanks for the step back in time with the video too.